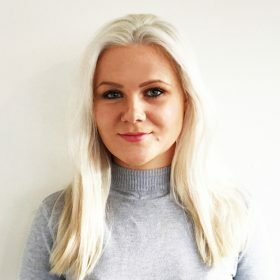 Sophie oversees all aspects of social media for FARBLACK, and assists with PR and event management. She is an NCTJ-trained journalist who has previously worked at a British press agency where she wrote about news, lifestyle and fashion content for a range of UK and international publications. Sophie works across the portfolio of FARBLACK brands in the UK. In addition to managing all social media content, she is the sub-editor for FARBLACK publication Candid Magazine. Originally from London, Sophie grew up with a great interest in the arts and culture the city has to offer.